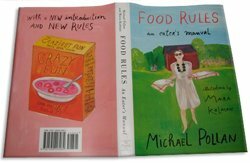 The paperback version of Michael Pollan’s illustrated Food Rules: An Eater’s Manual will be released on October 29, 2013. This wonderful new version, with 19 additional rules for a total of 83 food rules, has been illustrated with humor and a colorful palette by Maira Kalman, the talented artist whose cover art and cartoons frequently appear in the New Yorker Magazine. 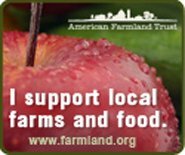 Amazon is offering a pre-order price guarantee of $9.60, a substantial reduction from the list price of $16.00. Nonetheless, if you’re fortunate to have a local bookstore, a visit later this month to obtain a copy is recommended. A book review of this new illustrated version was posted earlier on this website.